2.0 mil high performance acrylic adhesive transfer tape. 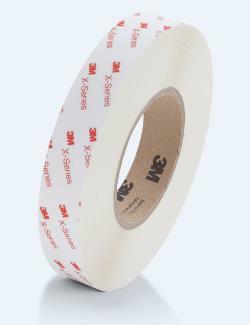 2 mil solventless high tack adhesive transfer tape on 55 lb white kraft liner with 3M print. Jaco Aerospace and Industrial is your one stop resource for 2.0 mil high performance acrylic adhesive transfer tape. and all of your 3M Products, Tapes, aerospace and industrial needs.